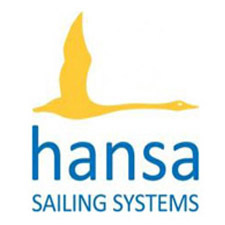 Eleven competitors in Hansa 303s and a Hansa Liberty arrived to a day of four races at Baltic Wharf Sailing Club to race in the port of Bristol. There were a mixture of single handed and double handed 303s. The OOD decided to split the racing in to two starts between the single handed and double handed craft. The single handed fleet was started first. The OOD had set a simple figure of eight course for the day with an expectation for each fleet to complete 4 laps. The single handers stared first into the westerly wind with the Liberty reaching mark one first, the Liberty held the lead to the end. The double Handers got a clean start. The wind began the pattern for the day of lifting and promising a lot only to drop out minutes later. Martin and Steve took first place. Race 2 started without incident. The decreasing wind lead to some competitors deciding to have an early lunch. The remaining competitors were given the shortened course flag with the single handers completing 3 laps and doubles 2 laps. After a buffet lunch racing resumed with two more races back to back. During lunch a new Hansa 303 donated to the AllAboard centre was launched. This would be used by Michael Dennis and Alex Skinner for the afternoon racing. Most boats started race 3 on starboard, making a quick tack to take advantage of the southerly wind shift. All racing was closer now the crews had got use to the particular shifts around the course. For race 4 the OOD moved mark 3 further down wind to lengthen the course. This also added additional tactical decisions to be taken by competitors. A good start was made by all the double handers on starboard together. A wind shift to the north allowed some lucky competitors to beat on one tack from mark 4 through the line and all the way to the first mark. 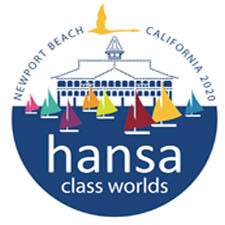 Overall Traveller Trophy results are available on the UK Hansa Class website link here.